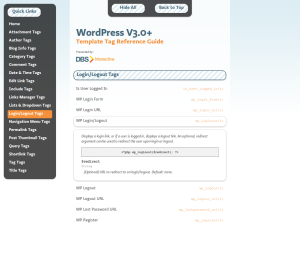 There is a new, nicely organized, Reference Guide for Template Tags in WordPress 3.0. This is a nice resource next to the Codex for Template Tags. Visual nicely done and containing only the minimum information, the guide is a perfect tool when developing Themes. Have fun using it. With version 3.0 of WordPress, the much anticipated feature of Child Themes was integrated or some might say it was improved, since it was actually possible to use it. I like to show you an example based on the new default Theme TwentyTen how you use it. 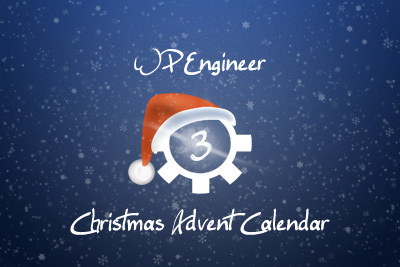 Another example can be found in my WP Basis-Theme (SVN); currently not HTML 5 version. The function of the Child Themes can be applied basically in every theme and the new features facilitate access and creation of a Child Themes. Before there were also possibilities to change a Theme without changing the actual files of the theme. With the support of Child Themes this is now completely independent and we can use a theme that can be updated without a problem, and you can still realize your own ideas. Other blogs already mentioned Child Themes but I've found so far only posts where they just talking about the activation and modification of the style sheet. Therefore, I would like to comment this subject only briefly, which is quite simple and then show the different possibilities in terms of template files. Sometimes you just need a list of all child categories only and nothing else. The requirements of projects can be very diverse, as the solution can, and in my case it is a small code snippet that takes care of the output of Subcategories. Something for you to play, improve and expand. Enjoy! Those who have wanted to create their Theme for WordPress quite flexible, and loves the modularization, had always to involve the path to the template. 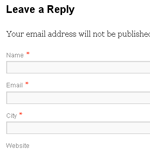 With WordPress 3.0, this will be different and it is possible to use a function, which makes it easy to load the template.